The Kyocera Hydro Edge was announced recently, and now the handset will launch on Sprint in the 19th of July, the handset will retail for $19.99 when you sign up to a new two year contract with Sprint. 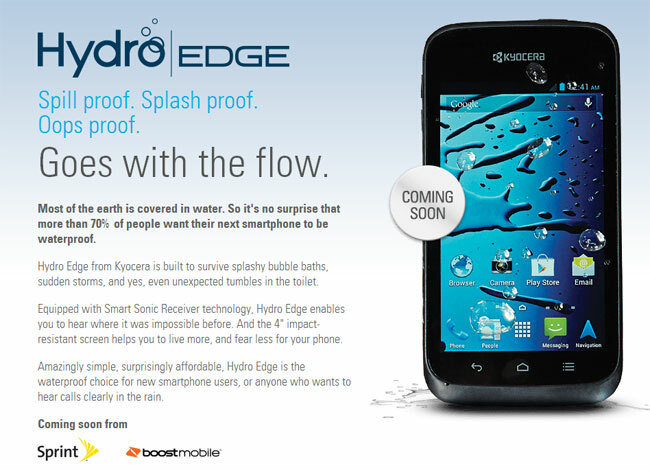 Other specifications on the Kyocera Hydro Edge include a 4 inch display, and a 5 megapixel rear camera. It will also be available on Boost Mobile from the 23rd of July and will retail for $149.99 without the need for a contract.